CCS, CRS, CNE, CDPE. Licensed in VA, MD and DC. We respect your online privacy and will never spam you. By submitting this form with your telephone number you are consenting for Ingrid Myers to contact you even if your name is on a Federal or State "Do not call List". All listing data, including, but not limited to, square footage and lot size is believed to be accurate, but the listing agent, listing broker and respective Multiple Listing Services and their affiliates do not warrant or guarantee such accuracy. Therefore, all data should be personally verified through personal inspection by and/or with the appropriate professionals. Listing data last updated 4/26/19 9:54 AM PDT. 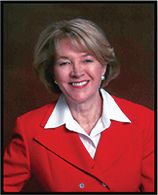 Ingrid Myers has been serving the Northern Virginia, the suburban Maryland, and DC real estate areas for over 25 years, and is a Certified Commercial Specialist (CCS) and Certified Residential Specialist (CRS), Certified Negotiation Expert(CNE), Certified Distressed Property Expert (CDPE). No other Real Estate agent can match Ingrid’s results in this market, having helped thousands of individuals, families, businesses and Service Members meet their Real Estate goals. Put Ingrid and her exclusive Internet Real Estate Marketing Team to work for you, with your listing and property marketed via 100+ Internet websites, search engines, directories and social media sites! Email: [email protected]Copyright: © 2019. All rights reserved.